JAPAN VS QATAR LIVE STREAMING AFC 2019 ( 1.2.2019 ). Tonight will be the most important night for Asian football fans. The final stage for AFC 2019 will be kick off between Japan and Qatar. Which Team will win the title? Should Japan win for their fifth title or Qatar win for their first ever title? 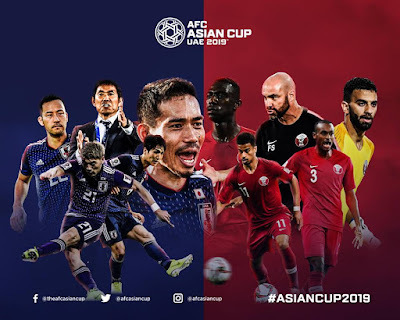 ** Make sure you like page >> AFC Asian Cup 2019 LIVE << for live streaming. Good Luck for both teams and hopefully they can perform well in this final stage.